Green metal coating used in the process of common problems _ News - Xinxiang City Tsui Court Auto Parts Co., Ltd.
For environmentally friendly metal coating, I believe we are not yet particularly aware of the common problems of environmental protection metal coating in the process you know how much? What are the characteristics of coating? Environmentally friendly metal coating process is to make the raw materials into water-soluble coating solution, and then directly coated on the activated surface of the workpiece, after drying, sintering to form a layer of inorganic film. Green metal coating process of the common problems do you know? 5, the impact of wetting agent: Dacromet coated parts are steel parts, wetting the coating surface in the workpiece, spreading good or bad, directly affect the quality of the layer. If wetting, spreading is not good, will make the workpiece surface slippery, multiple coating to cover the workpiece surface, resulting in uneven coating dacromet coating, dacromet coating process common problems do you know? 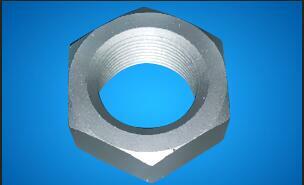 Corrosion resistance is reduced. The above is the entire content of environmentally friendly metal coating, and want to know more information, please call detailed inquiry.